This sensational Three Piece Cheese Set is a perfect gift for all cheese lovers. 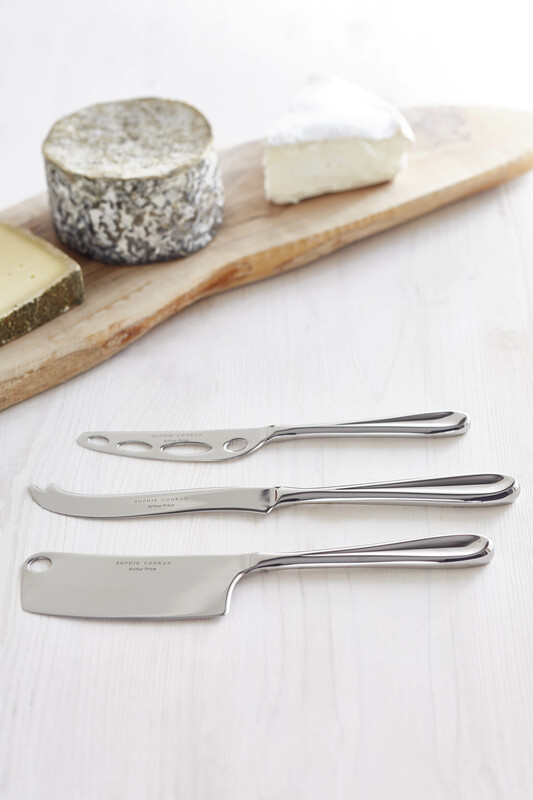 The set includes three gorgeous knives, ideal for all types of cheese: the knife with its serrated tip is ideal for soft cheeses and enables you to pick the cheese up once cut, the hatchet is perfect for cutting hard cheese, whilst the slicer enables you to slice the cheese into bite size portions. The Rivelin cutlery collection is designed for both everyday use and special occasions - made from hard-wearing stainless steel and dishwasher safe, this cutlery is thoroughly practical as well as elegant. This item comes in a beautiful presentation box, ready to gift. Suitable for both dishwasher and hand washing. We recommend drying this product immediately after washing to avoid marking. Use only stainless steel cleaner to polish.